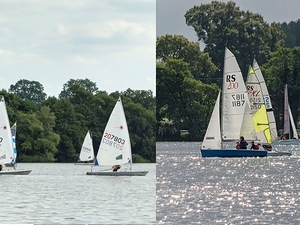 Come and see what the Winner of RYA Club of the Year 2016 has to offer - a family friendly Club with free-to-use Club Boats and something for all, no matter their skill or aspiration - from novice and casual social sailors through to world-class racers. 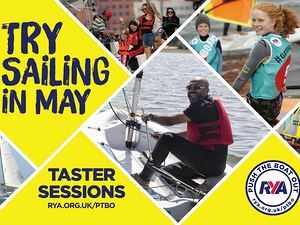 Calling all Laser sailors for an ideal opportunity to test your skills and/or take a first step into Open Event sailing. 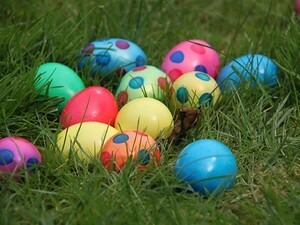 Spring Sailing for all over the Easter holiday break - fun, cruising or racing - with the Club BBQ being lit on Saturday 13th April and on Easter Sunday the added fun of hunting for chocolate and other games. 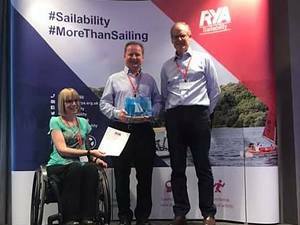 Redesmere’s own Gary Lowe receives the RYA Sailability award for Exceptional Contribution, in recognition of his tireless dedication and personal commitment to sailing for all, both at Redesmere and nationally. 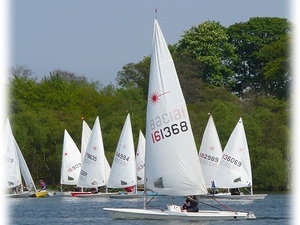 Club sailing starts this Sunday (17th March) - closely followed by the Club Social Sailing and Training programmes, regular Paddleboarding and the continuing RC Sailing calendar. 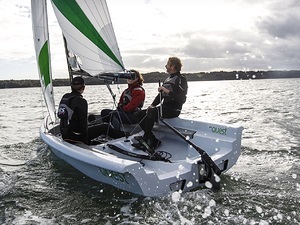 Four new, latest technology, RSQuest, double-handed and family sailing dinghies join the free to use Members’ Club Boat fleet for 2019. 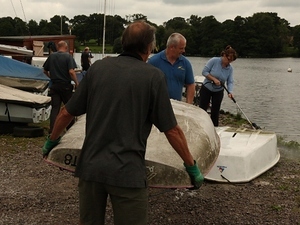 Applications for this year's broad programme of RYA Training and club familiarisation courses opened on Saturday 9th February, offering something for everyone, whatever their experience or aspiration - sailing, racing, safety or instructing. 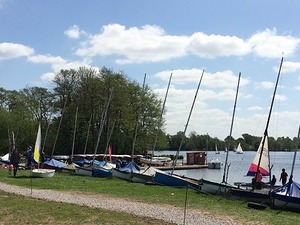 The new 2019 season includes Standup Paddleboarding and RC sailing alongside the regular Social Sailing and Racing programme and free to use Club Boats and equipment. Calling all Members - now is the time to 'do your bit' for the Club in a very social environment. No previous experience necessary! Join regular and social sailors alike as the Club begins the Christmas Celebrations. 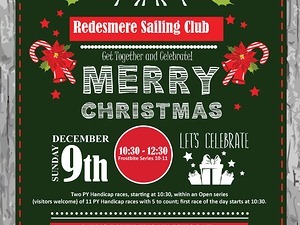 Sailing and good cheer from 10:30, with hot food and mulled wine from 12:00.